Le marchand de la mort est mort | One quality, the finest. There’s an interesting connection between the Nobel Prize and France. In 1888, Alfred Nobel’s brother died while on vacation in Cannes in the south of France. An overzealous journalist got the facts wrong and reported that “Le marchand de la mort est mort” (luh marshahn duh lah mor ay mor) or “The merchant of death is dead.” Nobel read his own obituary, and it shocked him. It said, “Dr. 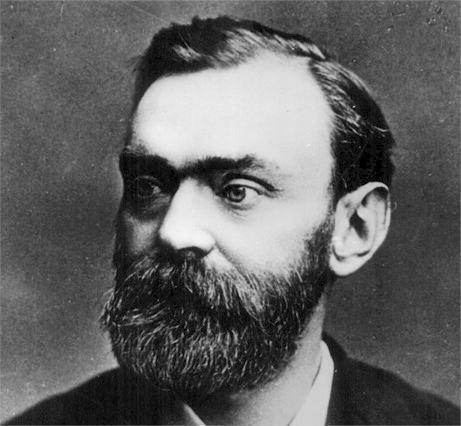 Alfred Nobel, who became rich by finding ways to kill more people faster than ever before, died yesterday.” Ouch! Nobel decided that it was time to consider his personal legacy. The inventor of dynamite signed his will on November 27, 1895 at the Swedish-Norwegian Club in Paris. The vast majority of his estate (94%) was set aside to establish the Nobel Prizes. There are five annual prizes: physics, chemistry, medicine or physiology, literature, and peace. 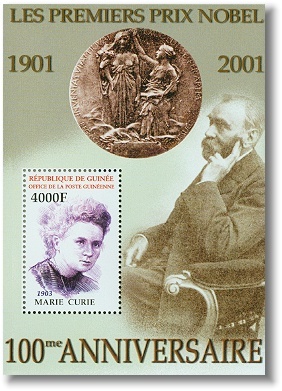 Since 1901, French men and women or organizations have won 65 awards, including Médecins sans Frontières, Jean-Paul Sartre, Albert Camus, and Marie Curie (twice). Only three countries have more laureates than France (Germany, the United Kingdom, and the United States). This entry was posted in History and tagged Albert Camus, Alfred Nobel, Jean Paul Sartre, Le marchand de la mort est mort, Marie Curie, Nobel Foundation, Nobel Prize. Bookmark the permalink.